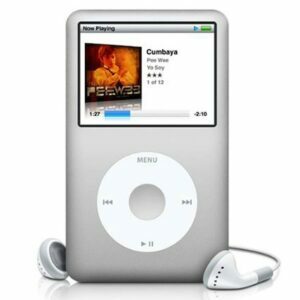 Do you need iPod Classic repairs Melbourne CBD? Come see us down at Fixspot for affordable prices and 30 minute repairs. Most of our one part repairs are completed in just 30 minutes or less - we fix your iPod on the spot at Fixspot, and we really mean that. This iPod is called classic for a reason - it never goes out of style. Despite numerous re-releases of updated versions of the iPod, the iPod Classic remains as timeless and as versatile as ever. With the iPod classic, you have your entire music library on hand at all times - no need for expensive online streaming. We know how much of a pain it can be to have to load all your music files on to a new iPod or iPhone. Losing your music library when you break your iPod can be frustrating - but with our low iPod Classic repair prices, you'll never have to replace your trusty iPod Classic again. If you need further information on our iPod Classic repairs Melbourne CBD services, please don't hesitate to contact us.